Thanks to online sites, now you can listen to wonderful indian classical musics, sufi songs and beautiful instrumentals. I'm a big fan of Indian classicals and Instrumentals. I love one particular site: Music India Online which helps me listen musics online totally free. Its a really good site, cause otherwise i would be bankrupt by now if tried to buy those classical cds from store. The beautiful thing about indian instruments is that of its abstractness. Your mind and soul can put different interpretation on it and can easily flow with it. Sarangi : Sarangi is a lovely instrument. It has a very deep spiritual appeal in it which i really love. The sound complement the divine sadness of the heart and its longing. 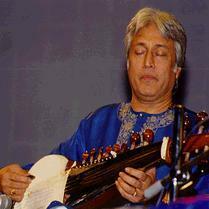 Click here to listen Sultan Khan's play of Sarangi. 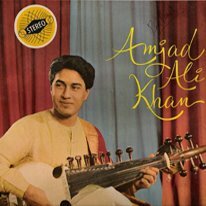 Ustad Amjad Ali's Sarod : Sarod is another fantastic instrument. One of my all time favorite. It is Ustad Amjad Ali who once famously said, "Shwar e Ishwar hae", "Music is the Manifestation of the Absolute". Here are some of his beautiful albums. Flute: Pandit Hariprashad is considered the most celebrated and talented flutist in modern India. click here to get a list of his albums you can hear online. Some of the tunes are so powerful, if you hear them at right tune of mind, tears may overflow without bound. Hariprahad's albums are here. Santoor is another beautiful instrument. 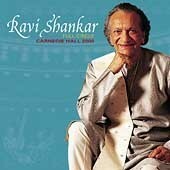 Check Shiv Kumar's playing of Santoor here. Try this album as well, When Time Stood Still. It is said that according to astrological signs, to different people different sounds make special appeal. For example for some piano, flute or violin or for other saxophone brings out the perfect harmony of the soul. So try to figure out which instrument is best for me. Here is a list for indian classical instruments that you can hear. To try out different classical indian instrument, visit this page. There are a lot of artists enlisted on the page. click on them to listen. Let me know in the comment section what kind of instrument turns you on. i will try to find them for you if possible.